The National Institute of Health has recently taken interest in a new drug delivery method, by way of…chocolate? Lycotec recently developed a new type of chocolate that administers medication to the liver. 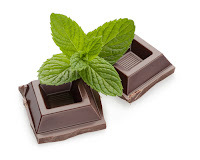 The chocolate platform is formulated with high carotenoid molecules, which don't have corresponding digestive enzymes in the body, allowing them to pass through the gastrointestinal tract without getting broken up. The carotenoid molecules also double as targeting agents, seeking out liver tissues and binding to them. This new way of oral administration could be an incentive to get people to take their medication , especially pediatric patients. This new drug delivery method could open up a lot of opportunities for alternative methods of administering medication, especially after so many patents expire. It would also increase patience compliance, something that the FDA has been trying to regulate for a while. How do you think this will impact the future of drug delivery? Would you prefer your medication in the form of chocolate? Want to learn more about Drug Delivery? The Drug Delivery Partnerships conference will take place February 6-8, 2013 in San Diego, Ca. view the recap on the 2012 Executive Summary, download it here. The Drug Delivery Blog is a place to keep up to date on the latest innovations in drug delivery and the most important mergers, acquisitions and partnerships impacting the life science industry. Would you like to guest blog for DDP? Or send us feedback? Send an email to Ksenia Newton (ksenia.newton@knect365.com) for any inquiries.